Transfer the looks of your favorite equipment onto your ugly mismatch set! Tired of looking like a clown? 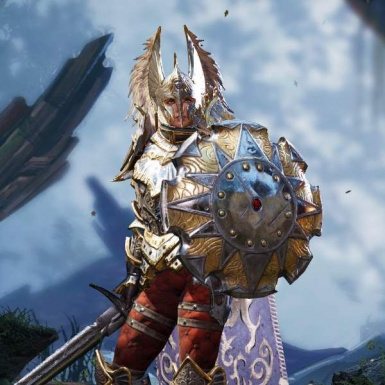 Or perhaps tired of having to choose between that breastplate that looks awesome on your character and a new drop that, for some reason, has better stats but seems to be made of scrap metal? Look no further, for this mod provides you with the answer! Also, available since version 1.4, you can personalize this mod to your needs! Check out the Optional Files in the Files tab! 4. Start a new game or load a save, it works fine either way! 5. Steal Acquire two shells (plenty of those on the beaches of Fort Joy). 6. Combine them together to get the Ring of Vanity, which provides you with three spells. Equip the ring! Used to be standalone in the past, now goes along with the main mod. The reason I did this is to make it more manageable to handle changes in this mod. All it does is add the Ring of Vanity to all characters, free of charge! You can still craft the ring, though! Expert Mode contains features that users ask for that don't quite fit the base mod or change it in a way that most users might not enjoy. Version 1.0 adds Amulets, Rings and Belt to the list of slots handled by this mod (necessary if you want to change the looks of capes added by Crafting Overhaul to the amulet slot, for example). It also adds all Vanity abilities directly to your characters so that you can cast them like learned skills, no need for a ring anymore (although it's still obtainable). And lastly, a new ability called "Morphovanish", which makes all equipped items invisible (except weapon and shield). Keep in mind that my policy for updating this optional file differs from the base mod. Whereas the base mod is built on the principle of keeping it simple, stable and unchanged (mostly just fixing issues) so that it won't interfere with the average user's experience, future versions of this optional file can change or even remove features added by previous versions of it. Always check for changes whenever you feel like updating this optional file! Be warned that this module can more easily cause problems than the base mod, so always save before "Morphofusing" just to be sure! There is also a known issue with Morphovanish when used on a character who hasn't removed their source collar. Refrain from using that skill until after removing the collar! As requested by Malignis, adds an invisible shield and weapon to all your characters. Base Vanity not really necessary, but doesn't make much sense to be used without it anyways. Not fully tested, use with care! Just disable the mod in-game. Whenever you load a save that was made with the mod active, the game will complain about this mod being inactive. All it means is that you won't have the ring added by this mod anymore. Your morphofused items will remain that way, keep that in mind. The engine doesn't allow me to check for weapons equipped in the offhand slot, so those end up being ignored by this mod. To circumvent this, put your offhand weapon in your main hand slot and treat it as a primary weapon when using Morphosteal and Morphofuse. Don't forget to let Larian know how much it annoys you so that (hopefully) they'll end up fixing the function that returns what weapons your character is using, not just the main one! Also, particle effects and color can't be copied. Items can still be dyed, though. Q: Can you upload it to Steam? Q: Does it change the base game? A: No, I haven't touched a single base game file. Q: Is it compatible with [insert cool mod here]? A: Should be, since my mod doesn't change the base game, only adds stuff to it. Q: Can it corrupt my save file? A: I really can't imagine how that would happen. Still, the game is made by Larian, your saves can get corrupted just by playing the base game. In other words: save often, just to be sure. Q: What version of the game is it for? Q: I'm stuck in the loading screen! A: This mod needs to be "compiled" (not the proper word in this context, but it might give you a better idea) by the game, so it takes longer whenever you load it up in a save that didn't have it enabled when the save file was created. Just sit tight and think of all the possibilities! Q: The colors! They're all wrong! A: Unfortunately, colors are in a different castle table of data I can't reach, in-game, to change it. To make it even "better", Larian made it almost impossible to change the colors of many items because of the way the game was coded. To make it work (i.e. workaround), the base files need to be changed and all the colors removed from all the items. Since that would go waaaay beyond the scope of my mod and against my philosophy of interfering as little as possible with the base game, I didn't add any feature to dye equipment. If you really need that, I recommend the mod Crafting Overhaul, it should work just fine with my mod. Q: Is this mod balanced? A: Since all it does is change the appearance of items, I consider it balanced. It also ends up adding another means of progression to the game, since you now have a reason to hunt for specific items just for their appearance! Q: Any mod that you recommend to go along with this one of yours? A: Crafting Overhaul is a good bet if you really need to dye your armor, but I really dislike the feature creep of that mod, I prefer small and very stable mods instead. A: At the heart of my mod, one function, already present inside the game, does the actual magic of changing an item's appearance: Transform((GUIDSTRING)_Object, (STRING)_ObjectTemplate, (INTEGER)_ReplaceScripts, (INTEGER)_ReplaceScale, (INTEGER)_ReplaceStats). _ReplaceScripts and _ReplaceStats both receive "0" as argument, which means that the item being changed keeps its scripts and stats while receiving the source item's description, appearance and scale. Q: Can you make your mod compatible with [insert yet another mod here]? A: It depends. Because of the way Larian made the modding tool, it's really tricky not to bloat the mod with unnecessary and temporary data that I make use of while developing it. If I consider that releasing a new version can bring more problems (e.g. bugs) than actually adds features to most users, I might end up postponing certain features/compatibility patch until I have enough to justify the risk. Q: I just wanted to say that your mod is great!